News broke late last week that Dewey Bulldoggers were moving on from Tyler Caid as head football coach after three seasons. Caid’s resignation was approved at Monday night’s meeting of the Dewey Public School Board of Education. The resignation will be effective at the end of the school year. 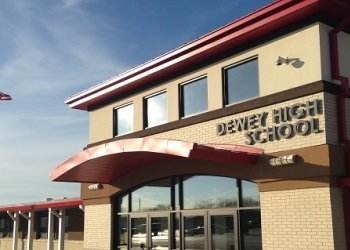 Dewey Superintendent Vince Vincent says Dewey will take it’s time in finding a replacement. The Doggers struggled to a 2-8 record in 2018. Caid went 11-19 in three season with the Doggers with one playoff appearance in that span.